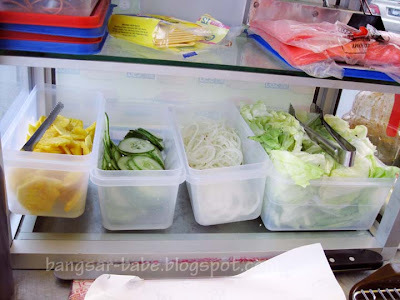 During a recent dim sum session, KC (rif’s colleague) suggested I do a showdown of food within the same category. I liked the idea, and decided to do a burger showdown. Now, before you roll your eyes and go “Again? Not another burger post? ?”…READ ON. 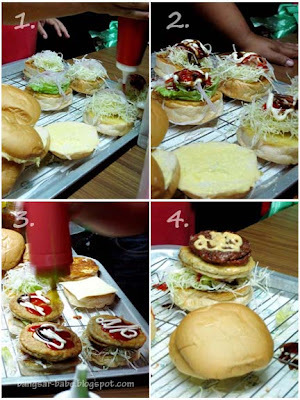 This is not just another Ramly burger face-off. 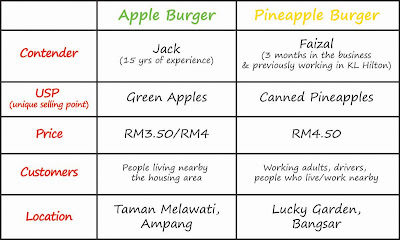 I decided to go with the fruit theme, so this time around, it is the battle of the fruit burgers – GREEN APPLE BURGER vs PINEAPPLE BURGER. 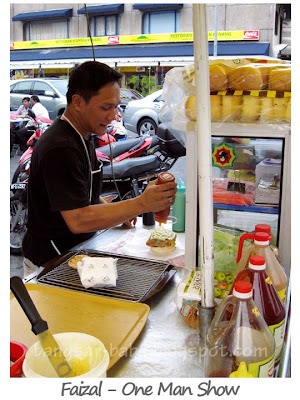 Having started his burger business in Lucky Garden (Bangsar) about 3 months ago, Faizal already has a stream of loyal customers getting their Ramly burger fix. The minute he opens his stall at 6.30pm, the queue starts! I know that because I was one of them. He hadn’t even unpacked the burger ingredients from the icebox and the grill wasn’t hot enough, but people were already waiting; LIKE HAWKS. 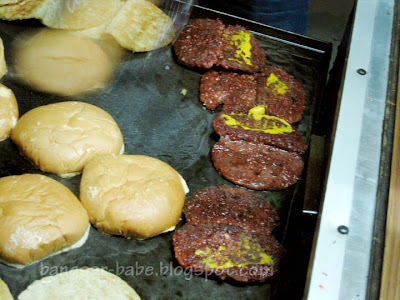 He mans the stall alone – grilling the patties and assembling the burgers. While waiting for my burger, I noticed his customers came from all walks of life. 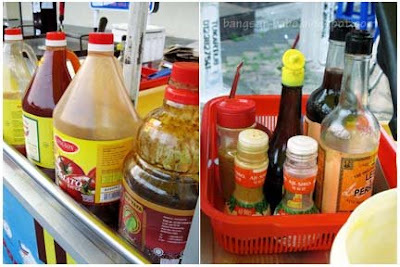 Some of them took a seat near the famous sup kambing stall, while others opted for takeaway. 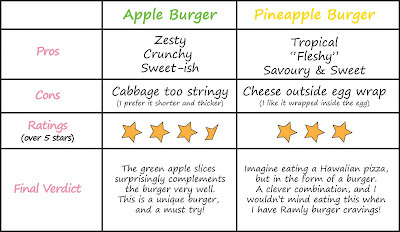 The burgers are both quite good, but what made the green apple burger fare slightly better is the crunchiness of the green apples and the juicy, flavourful patty. ohh lala..wats the nxt battle? 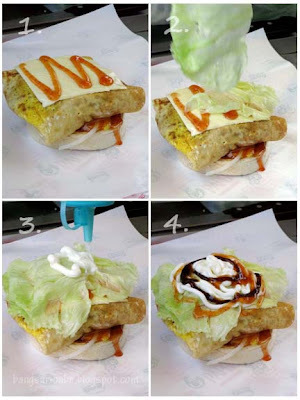 i'd have tot pineapple would be quite a good choice echerlly!! ooh, he's so nearby, must go try. 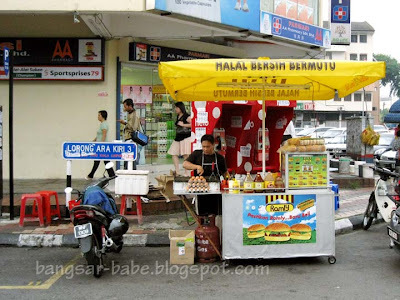 Alws in Bangsar but nvr knew abt this one! 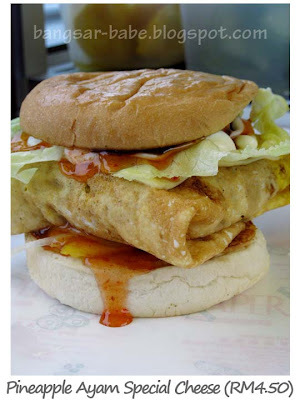 We even went for the sup kambing n unka asked me if i wan to order burger and i said No! Wow, these are something new. Good work! Hmm….perhaps the pineapple will taste even better grilled/roasted like how they do it with pizzas. 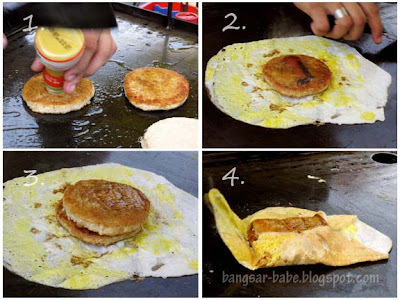 Ciki – Hehehe…yes, get cumi to try them! leo – Errr…which one in Uptown? Brother John's burgers are normally good. fatboybakes – If it's for ground beef patty, then using pineapple is nice. 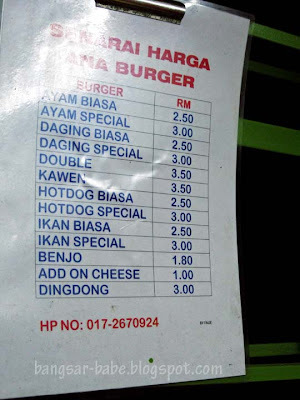 But with Ramly burger, I thought it would be otherwise. Lucky I was wrong! No matter what the results, I will try both! Oh dear I don't think the verdict did me any favours! 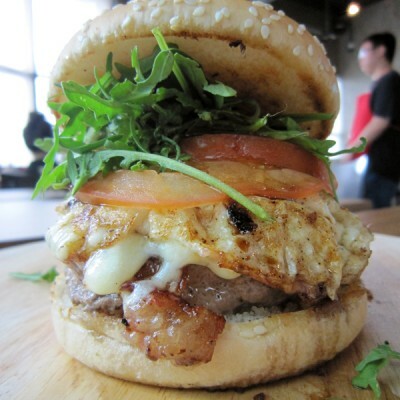 I am going on a burger RAMPAGE!! 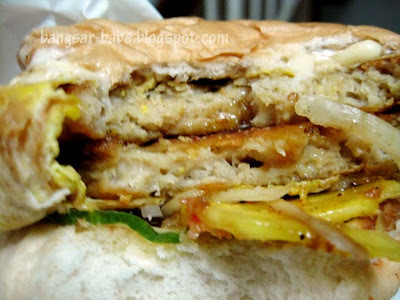 aiks, the pineapple burger very near to the Sarawak Laksa @ Nam Chuan loh? good good …. thanks. 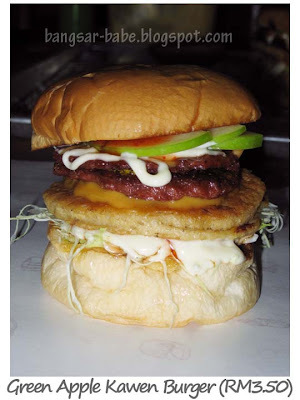 interesting combined post on two burgers. though wonder how Faizal must have felt, at the losing end …. *Looking forward to seeing the tag! taufulou – Haha…lemme know if you like it. Burger with fruits…I am not that adventurous! Are you the type of person who sits aside and watch the world go by? Or do you like the gutsy, the defiant and the fearless?! Head on down to the nearest Burger King for the new delicious Beefacon Cheese Stacker and prepare to have your taste buds tantalized! Want to make things even more interesting? Send us the best funny photo of yourself or your friends stacking things up and get a discount voucher instantly! worldwindows – Not that scary, really! 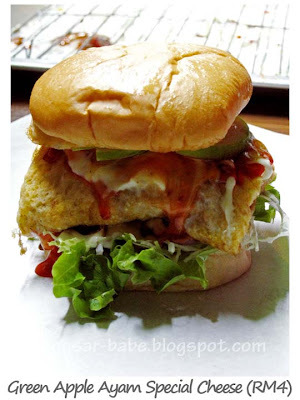 It's similar to the kiwiburger, which is popular in Australia. 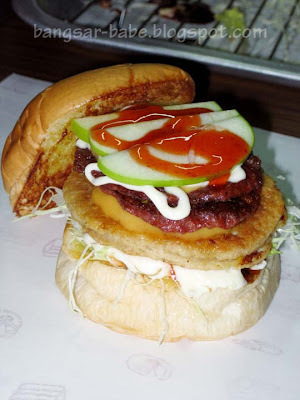 Wow the apple burger looks very yummmmmy. 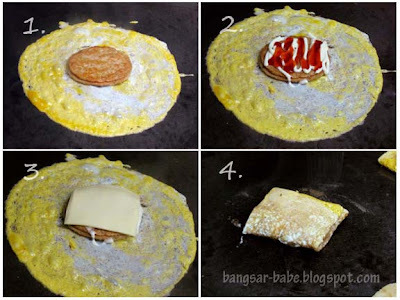 Must try soon. Ty for dis blog. 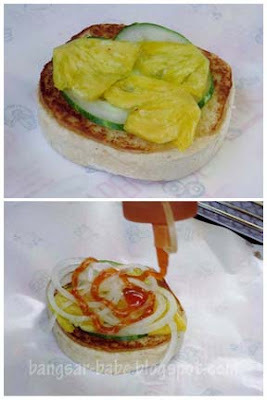 But pineapple burger very common nowadays. 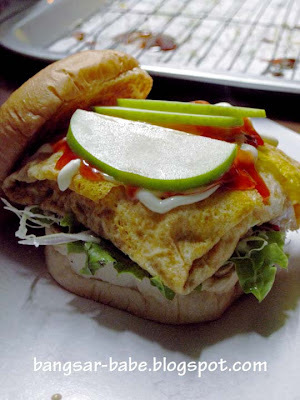 apple burger quite new for me…but must try….